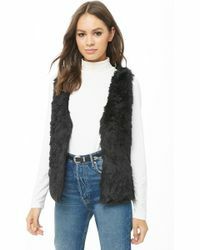 For an achingly chic fashion fix that will instantly upgrade your look, explore the latest collection of Forever 21 waistcoats. The popular American high street store is a favorite of fashion fans all over the world, who flock to the brand’s exciting, constantly evolving collections of apparel and accessories. 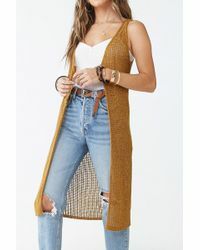 Forever 21 waistcoats capture the youthful, fresh spirit of the brand, with plenty of boho-chic details like suede-look fringing, embellishments, embroideries and more. Wear yours with denim shorts and a tee for a flawless festival-ready look.